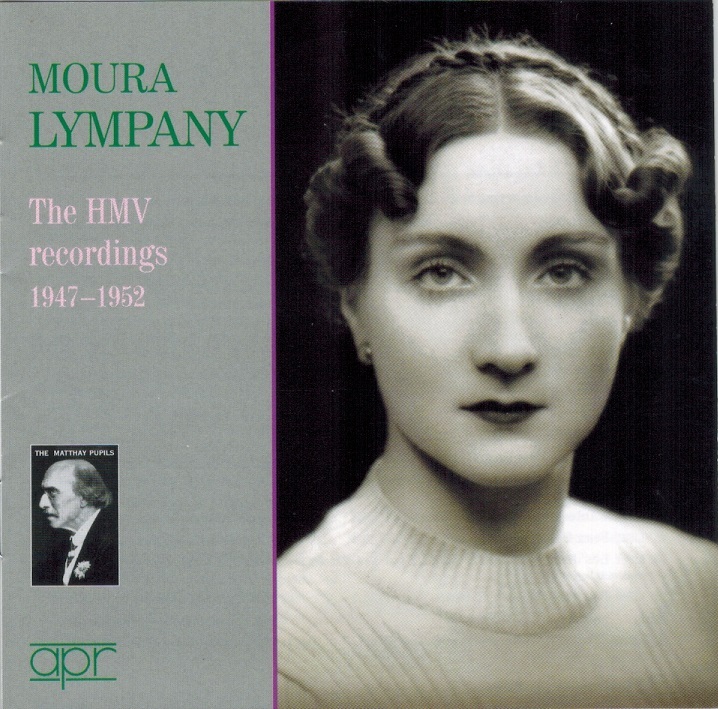 "Moura Lympany was one of the most distinguished and certainly one of the most popular British pianists of her generation. Moura was first taught the piano by her mother, who seems to have decided her daughter's career at an early stage. She also set her on course for a cosmopolitan way of life by sending her to school in Belgium for four years, until an uncle thought she was becoming more Belgian than English….after two terms she started private lessons with Mathilde Verne, a pupil of Clara Schumann. Verne laid the foundations of Lympany's lifelong regimen of practice, two hours in the morning and two in the afternoon, preferably taken in hour-long stretches separated by intervals. When Verne died, Lympany went to Tobias Matthay, whose long list of distinguished pupils included Myra Hess, Harriet Cohen, Irene Scharrer, Clifford Curzon and Eileen Joyce. The last was Lympany's main rival as a female soloist in the popular Romantic concerti for many years, until Joyce returned to her native Australia. In 1938 Lympany entered her second big competition, the Ysaÿe Piano Competition in Brussels; no one was more surprised than she was at winning second prize to Emil Gilels' first. Arturo Benedetti Michelangeli came seventh. Lympany became a major artist in the early years of the second world war. She was soon identified as a Russian specialist and she herself said that the concerti by Rachmaninov and Khachaturian really established her reputation. She was the first pianist to record Rachmaninov's complete Preludes, which she did a total of three times at various stages in her career, most recently in 1993. 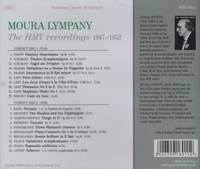 In the 1950s, with a distinguished career already long established, Lympany decided she was tired of being pigeon-holed as a virtuoso and went for lessons to Eduard Steuermann, a pupil of Schönberg, who had given the first performances of nearly all the composer's works involving the piano. Although she was known as a strong pianist, who could do full justice to both Brahms concerti and Rachmaninov's Third, she was also a very lyrical player who never forced her tone. Mathilde Verne and Tobias Matthay had taught her the importance of restrained and disciplined interpretations, as well as relaxation and beauty of sound. Lympany said that she always sang the music in her head, and her playing sang, too. Her interpretations were unpretentious: warm and graceful, without any straining after effect. 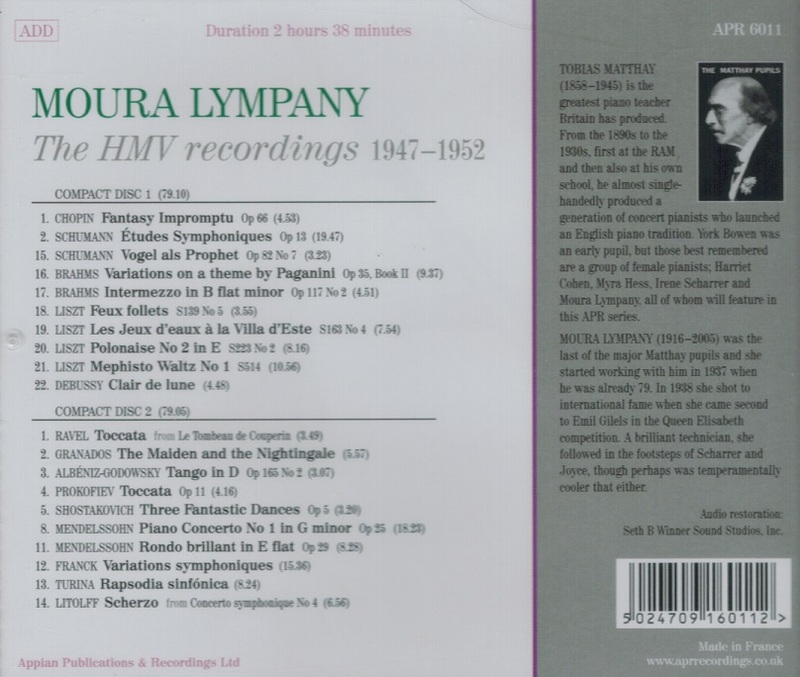 Yet if Lympany's public appearances and recordings centred on well-loved Romantic repertoire, she had a sense of responsibility to her contemporaries and she played concerti by Richard Arnell, Benjamin Britten, John Ireland, Alan Rawsthorne and Malcolm Williamson. “Moura Lympany was the last of the major Matthay pupils and she started working with him in 1937 when he was already 79. In 1938 she shot to international fame when she came second to Emil Gilels in the Queen Elisabeth competition. A brilliant technician, she followed in the footsteps of Scharrer and Joyce, though was perhaps temperamentally cooler that either.